CO Haunted Houses in Denver, Colorado: 13th Floor Haunted House. Denver's legendary 13th Floor Haunted House, bringing new dimensions of fear to the Mile High City for the Halloween season. ABOUT "13TH FLOOR HAUNTED HOUSE"
CO Haunted House highlights:  Denver's legendary 13th Floor Haunted House, bringing new dimensions of fear to the Mile High City for the Halloween season. Where is the 13th Floor, and why is it absent in so many buildings? Come with us, as we attempt to explain the legend of the 13th floor, and introduce you to Denver’s most horrifying haunted experience, the 13th Floor Haunted House. 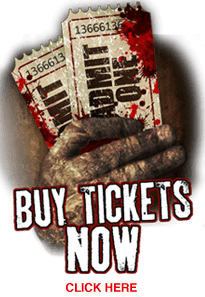 Tickets include access to all three haunted houses. - Tickets start at $19.99. The 13th Floor Haunted House in Denver is open late September through early November. - Check website for daily hours. Tickets include access to all three haunted houses. - Tickets start at $19.99.